Shortly after the gin tour, last month the Prince of Wales was touring Scotland and the north of England visiting charities and community projects, and managed to fit in two distillery tours on the way. 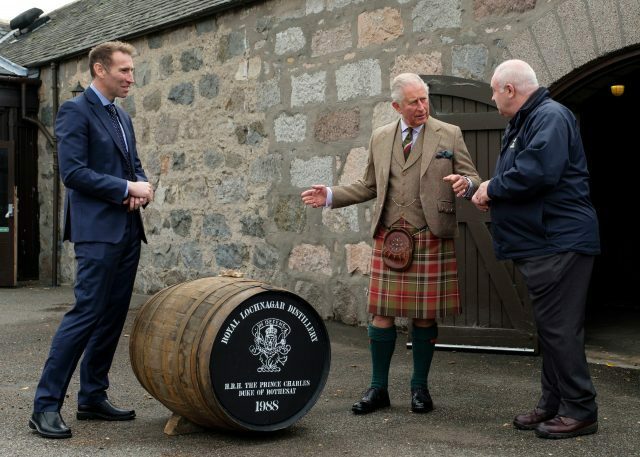 Charles toasted the news of a new royal baby on a visit to Balmoral, Scotland, where he met staff at the Royal Lochnagar Distillery on Tuesday 16 October. 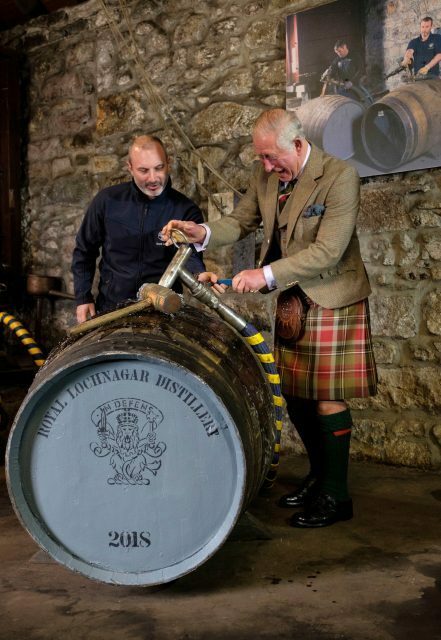 Charles was also able to fill as cask of his own on the trip, which will be bottled on his 70th birthday. Prince Charles, on a tour of the Royal Lochnagar Distillery in Aberdeenshire, says he has toasted news of the Duke and Duchess of Sussex’s baby “several times”. The distillery, owned by Diageo, is the smallest of the company’s 29-strong portfolio of Scotch producers. Much of its whisky is released as single malt, although it is also a key component of high-end blended whiskies, such as Johnnie Walker Blue Label.